Although I wouldn't call myself an avid hiker, it's certainly true that I enjoy exploring the outdoors. I spent the majority of my youth growing up on the Big Island of Hawai'i, on the side of the island that can best be described as a rainforest environment. I have always had a deep connection with and appreciation of with the natural world. In fact, if my family had not moved to the San Francisco bay area during the 90's, I am quite sure that I've have pursued marine biology instead of the arts. 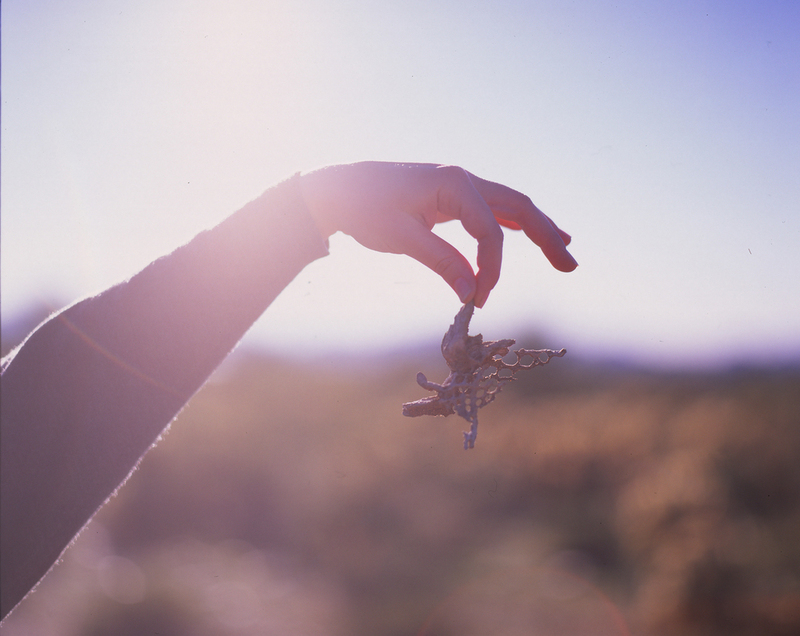 I moved to Arizona in 2003, and was terribly disappointed by what I perceived, then, to be a barren, ugly place. With the beauty of a Pacific Ocean island in my past and the lush greenery of northern California in recent memory, I simply could not feel love for the pale, dusty landscape of the desert in Greater Phoenix. This feeling would change in time... As is often the case, I simply needed to meet the right people, folks who knew the beauty of Arizona and could take me to places that I hadn't discovered on my own. I was introduced to the red rocks of Sedona and, much nearer, the unusual geological formations of Papago Park which also take on a crimson hue. Eventually, I found my way to the McDowell Sonoran Preserve in Scottsdale, which spans tens of thousands of acres of unique desert environment. It was here that I learned to appreciate the landscape of Arizona. I don't believe that I have the words to properly convey the magic of the desert wilderness. It is something that you have to see and experience first hand. A brief stroll on one of the trails won't do it, mind you. It's important to stop, be still and really SEE and HEAR what's happening out there. You don't need to go very far to find yourself alone with the plants, animals and insects that populate what seems to be an alien world. On a clear day with no wind, you'll hear the jabbering of quails, the buzzing of cicadas and the songs of dozens of birds. 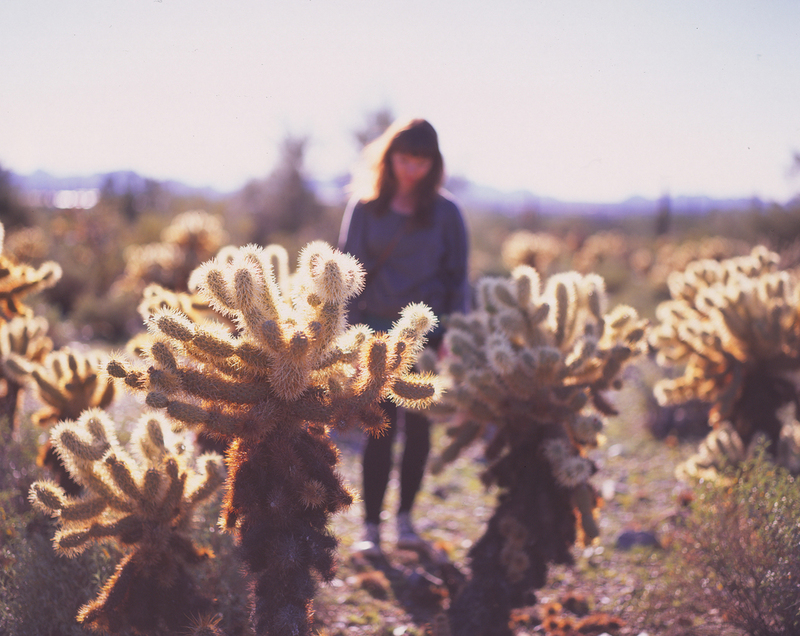 You'll see plants and cacti unlike anything you've ever known, from massive Saguaro to quirky groups of Cholla. Although I frequent the desert on my own as a way to clear my mind, I also find great pleasure in sharing my favorite places with friends. 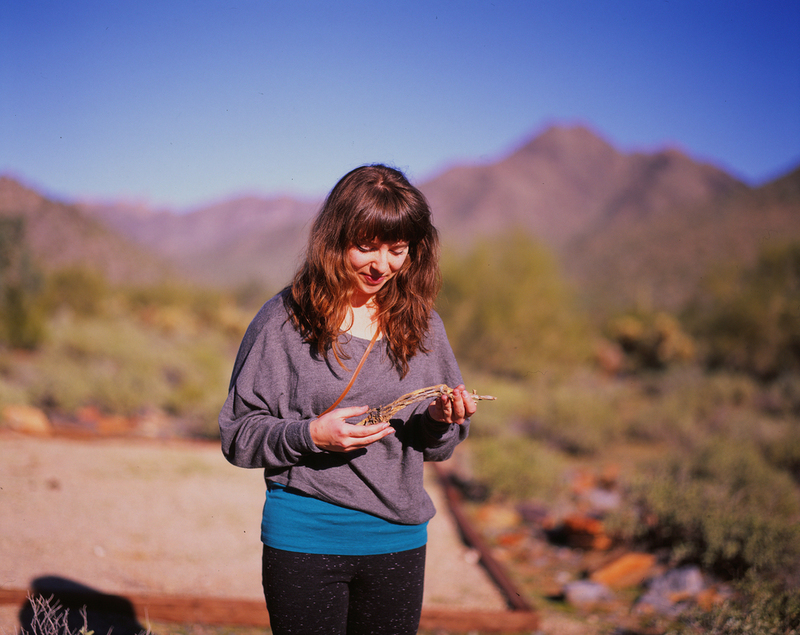 This December, I had the opportunity to take a dear friend, Anna, to the McDowell Sonoran Preserve with me. Like myself, Anna seems to have a great curiosity and appreciation for nature. I could see that she was also in awe of the strange environment, as she would often stop to investigate, to touch, to feel. I admit, another reason that I like to have company when I explore is so that I can photograph my loved ones. This helps me keep a visual record, a photo diary of my world and my life. 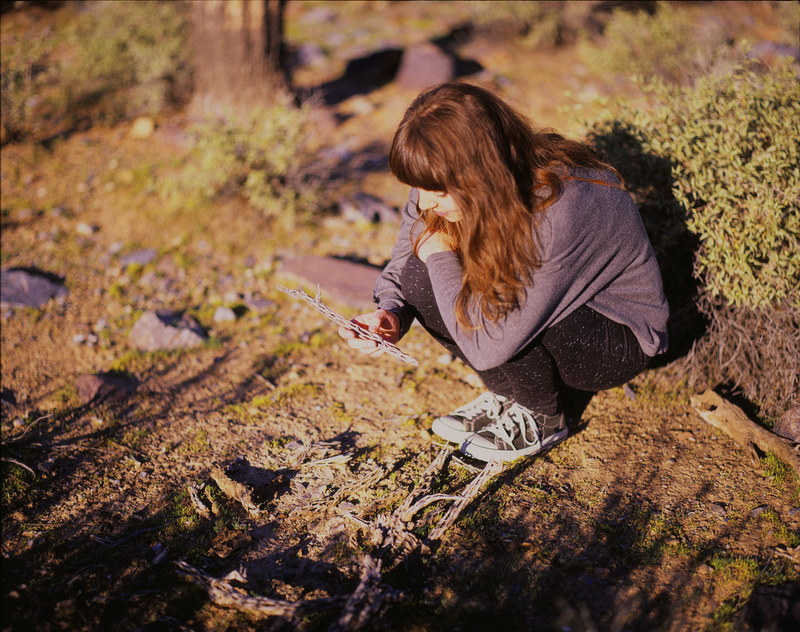 So, with that said, here are a few photos of Anna in the desert, each taken with my Pentax 6x7 / 105mm 2.4 on Fuji Velvia 50 slide film. I would highly recommend getting out and seeing the desert at some point in the future. Although it may not meet traditional expectations of wilderness, the desert is absolutely rich with both bizarre and beautiful plants and wonderful creatures. It is truly inspiring to think that a hot, dry environment can support such a variety of complex life. I hope that you will found the desert to be as peaceful and breathtaking as I do. Of course, every hike in Arizona is a little different. Even within one park or preserve, individual trails will differ in terrain and, naturally, the types of creatures and cacti supported. Perhaps you have a favorite place to explore? 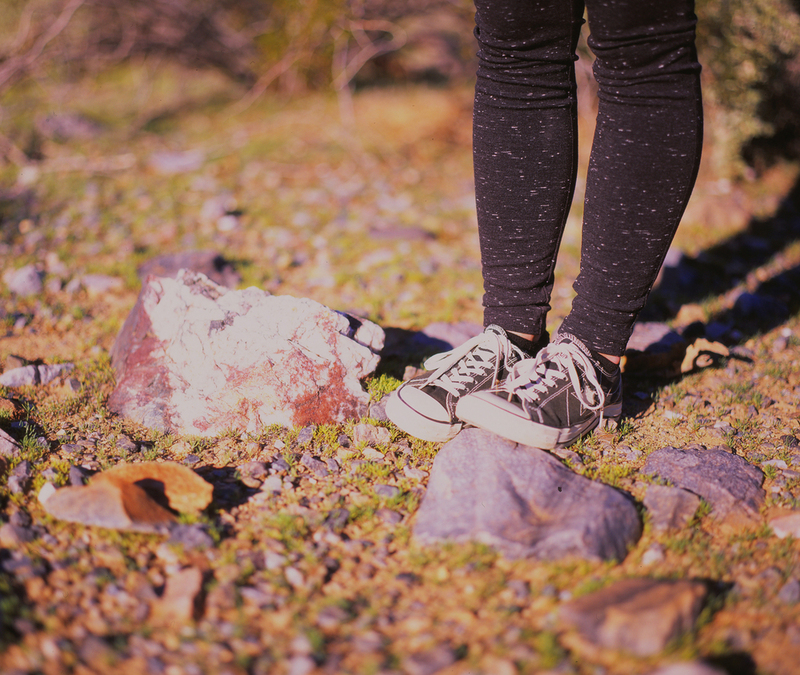 By all means, do share as I'm always interested in finding new places to wander and roam.